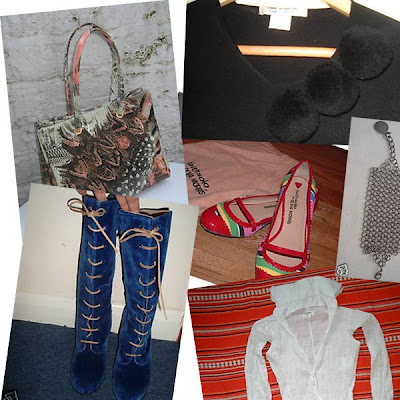 Shopaholic site - shopping, outfits, fashion, beauty, traveling and lifestyle blog: ebay craziness! I have some sort of a disease. I can't stop myself from searching on ebay, and of course finding some more gems that i have to have. That is the biggest ebay phase so far. Usually i buy one specific thing, discover 2 or 3 more on the way, and that's it with ebay for at least one or 2 months. But now, pheew! i really cant stop because i am finding so many interesting things (my Olivia Morris blue velvet boots and some other random ebay finds were just the begining). More (and interesting) to come! Can't wait! that has got to be the most enviable ebay shopping spree I have ever seen, daaaaamn! !